he New York Times calls it "the best musical of this century." The Washington Post says, "It is the kind of evening that restores your faith in musicals." And Entertainment Weekly says, "Grade A: the funniest musical of all time." Jimmy Fallon of The Tonight Show calls it "Genius. Brilliant. Phenomenal." 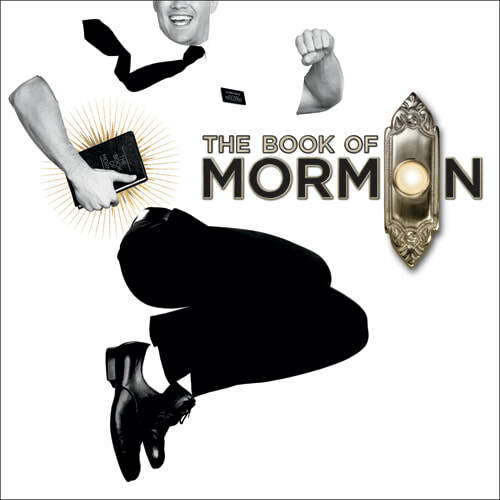 It's The Book of Mormon, the nine-time Tony Award®-winning Best Musical. ​This outrageous musical comedy follows the misadventures of a mismatched pair of missionaries, sent halfway across the world to spread the Good Word. Now with standing room only productions in London, on Broadway, and across North America, The Book of Mormon has truly become an international sensation. Contains explicit language.